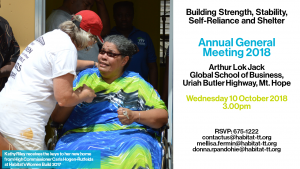 Habitat’s Housing and Land Access Advocacy continues with focus group meetings for the disabled, those living with HIV AIDS and the LGBTQIA communities in Trinidad and Tobago. 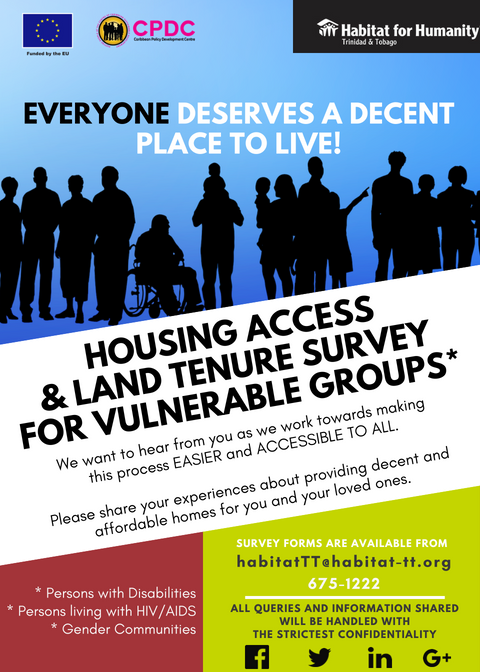 We are working with NGOs in your community to fight discrimination in accessing public and private housing, in rental, mortgage or informal arrangments. If you have experienced discrimination, please share your story with us! 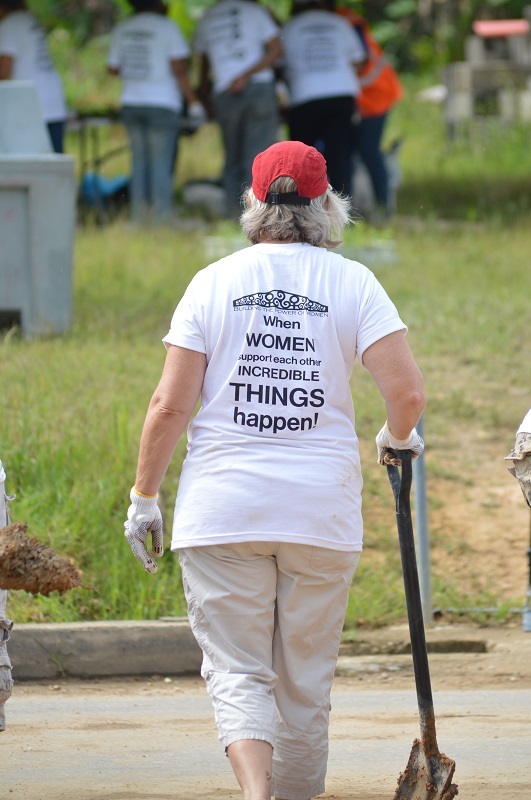 Email contactus@habitat-tt.org to find out how you can do more! “The list of potential families requiring our services are increasing beyond our ability to address. The donor pool is rapidly declining and charity budgets are being sliced in painful measures. 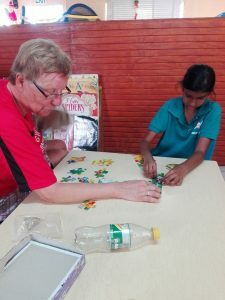 We also note that the volunteer offers are now increasing beyond our ability to engage. The question then is in the light of such a climate, should we shelve our services temporarily? Though tempting this though is our response refuses to be one of a defeatist mentality. Hence, our plans are even more ambitious than before. Rooted in a belief system that says always faith guides our actions and God blesses our endeavor;, we stay resolutely focused on the increasing needs in our society. We wish to remain a beacon of hope to the hopeless and a ray of light in a dimming environment. We continue to make the clarion call to all of our supporters to stick with us for we need you more than ever. To our donors, if you do not support us, can you imagine the many families who would disintegrate into the depths of greater despair?” Jennifer Massiah, National Director. 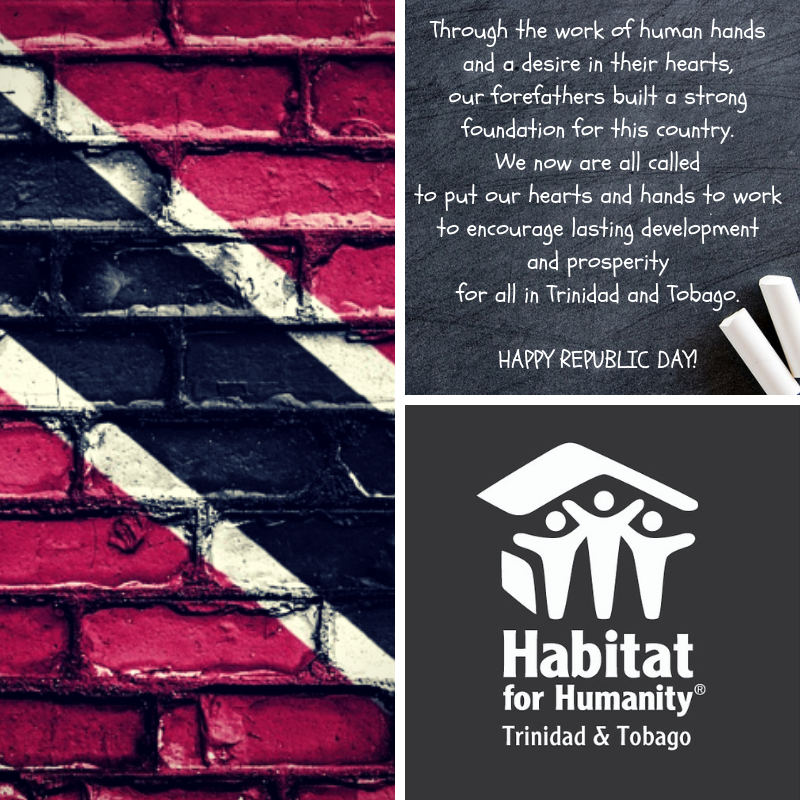 #habitattnt21 – Celebrating 21 Years Building Strength, Stability, Self-Reliance AND Shelter! 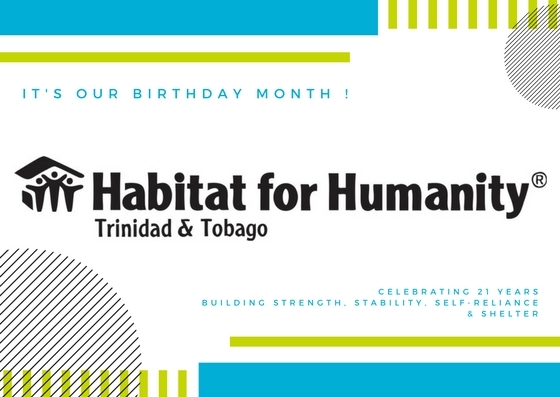 All this month, we at Habitat Trinidad and Tobago will be looking back at our work over the last 21 years. We are proud and grateful that we can are helping homeowners and their families all over the country to renovate, repair or build decent shelters within their means. 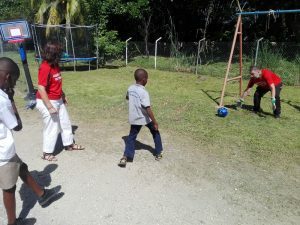 From Habitat Street in Guaico to Canada Lane in Tobago, we are honoured to have had a small part to play in their lives! We’d like to do more, and we can with your help! 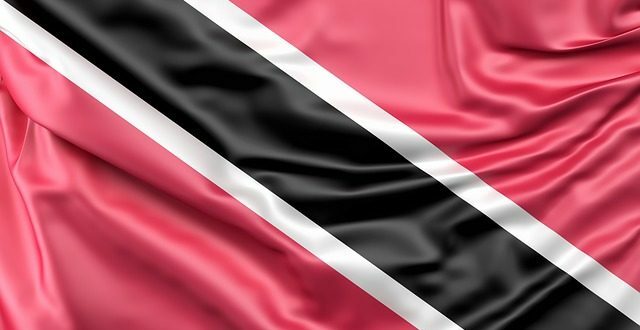 Please, tell us how you feel about our work and our impact in Trinidad and Tobago; share your ideas on how we can do more to support strong, stable and self-reliant families! 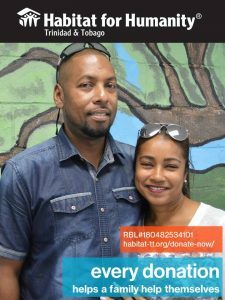 Our online donation page makes it easy to support our work and homeowners like Avalon and Nayla. 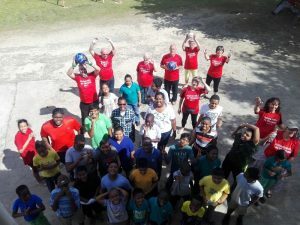 They built their home in South Trinidad with the help of local and international volunteers; the financial contributions from individuals and companies provided the seed money for the construction process. 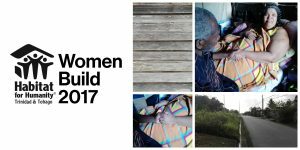 The family paid back the cost of the home by small monthly instalments and they are now happy with their two children in their own home! 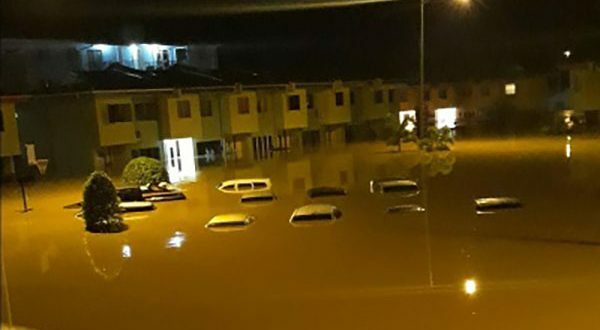 Over the last several days, Hurricane Irma and associated rainfall have caused unprecedented severe flooding and wind damage in several Caribbean islands, forcing emergency evacuations and damaging many homes in communities we serve. 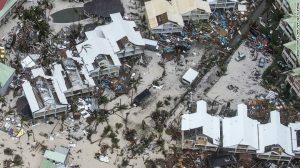 Sadly, this is not the first time that CARICOM has faced this kind of disaster, and we as a regional community are reacting! FAMILIES NEED YOUR HELP MORE THAN EVER NOW. 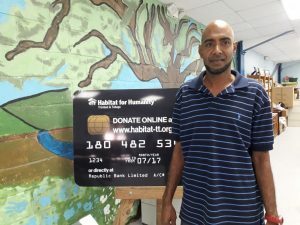 www.habitat-tt.org/donate-now is our online donation page. 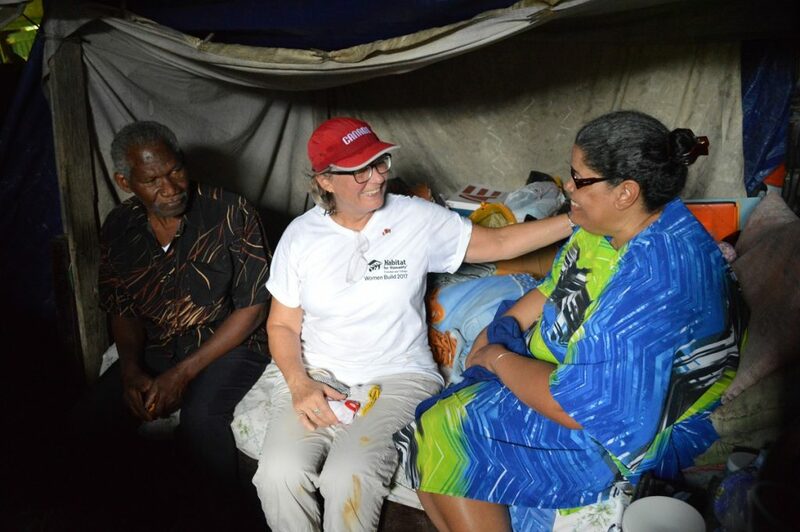 Give today and your donation will be dedicated to our efforts in the affected islands. Please don’t wait — help us turn this setback into a step forward for families in need with your generous gift. 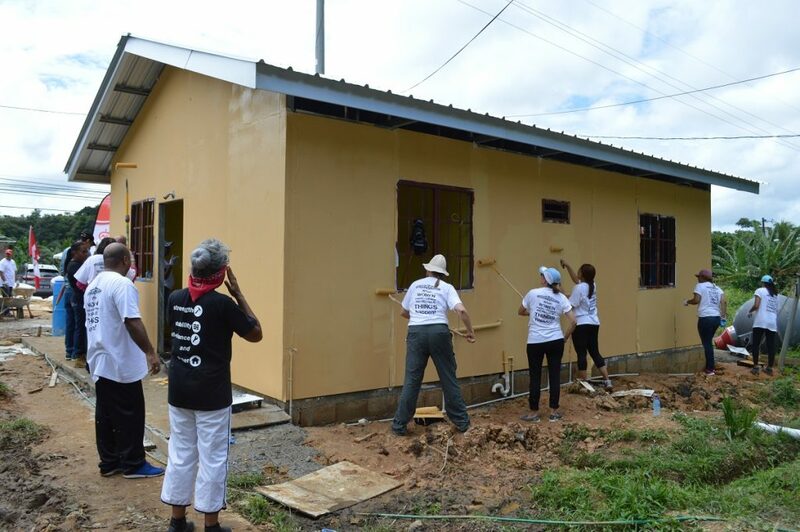 Habitat for Humanity Trinidad and Tobago has responded to natural disasters here and abroad for over 20 years, working in close partnership with families and local organizations during what is often the most difficult time in their lives. YOUR SUPPORT TODAY will help with what will undoubtedly be a long-term recovery, and unfortunately, the emergency phase is just one of many that these families have to withstand. Stand with us and help these families through a long recovery. With your help, we will rebuild countless communities. These families are counting on us. 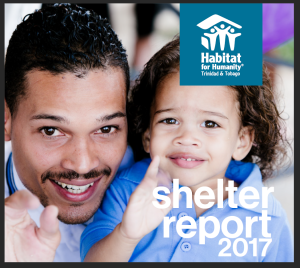 Please, make a generous donation today and help these families receive the decent and stable shelter they need. 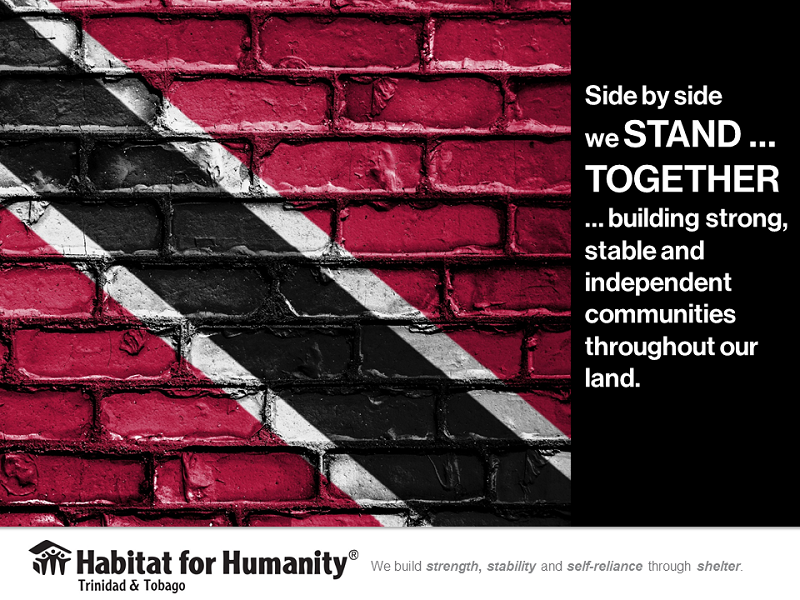 Thank you for your continued support of Habitat Trinidad & Tobago and the people affected by Caribbean hurricanes. 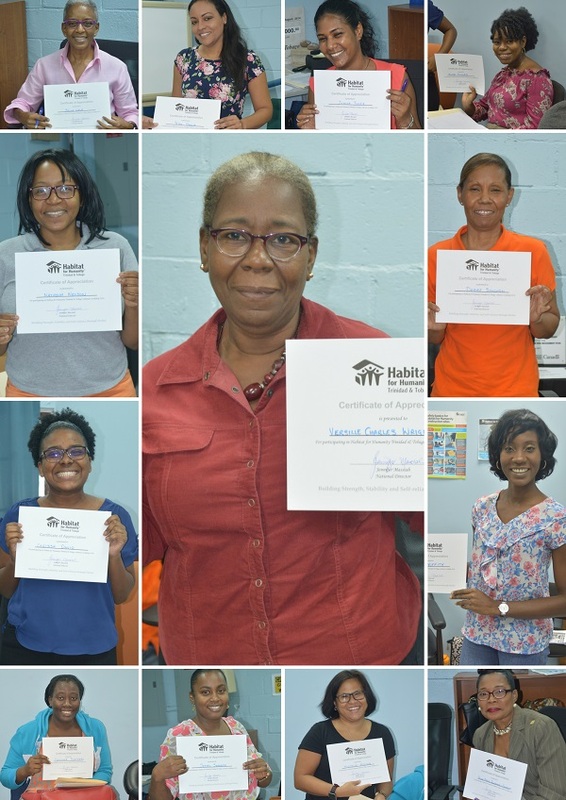 Habitat Trinidad-Tobago shall make every effort to use funds as designated; nevertheless, under the direction of the Board of Directors, Habitat Trinidad and Tobago retains complete control over the use and distribution of donated funds in furtherance of its mission.